greetings. weekly update number one billion. 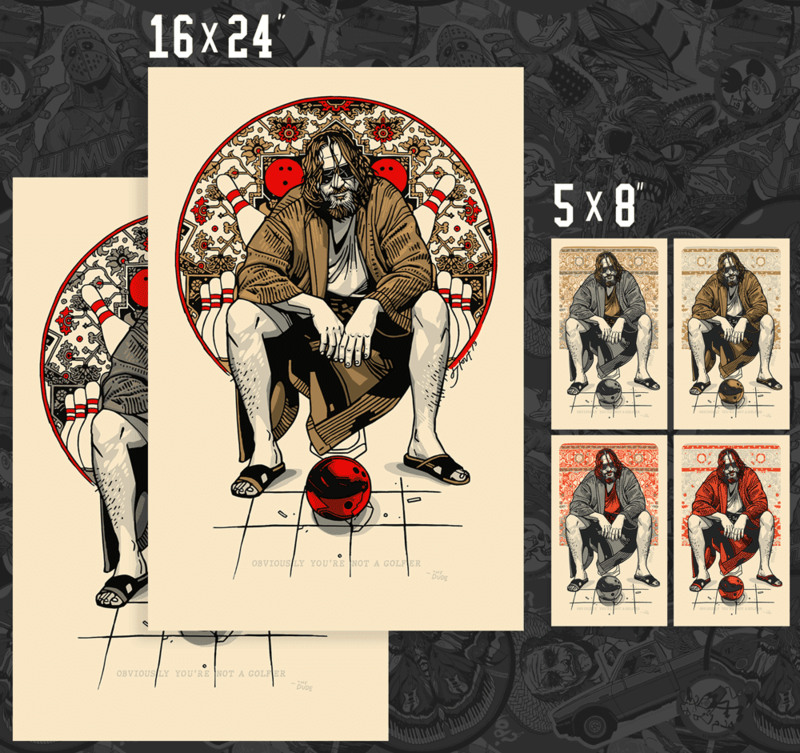 i’ve had a few questions about that lebowski print, just wanted to make a helpful little chart here, so you know sizes. just so you don’t mistake a little handbill for da big ones. the big ones all have circles. sorry for the confusion. they’ll be for sale soon, but not for a bit, not this week by any means. - this elephant is something else. man, i love elephants. - earth day special. i do not love this and it is bad. - room for rent. gotta say, big brett gelman fan, he is a fungi. - this nick song has been in my head for about 30 years. - this dream song. love it. - butch vig breaking down these nirvana songs is awesome to watch. been nostalgic for nirvana lately. weird. whole series of em.